Printing Tips and Solution » Blog Archive Why organizations still use printed brochures? 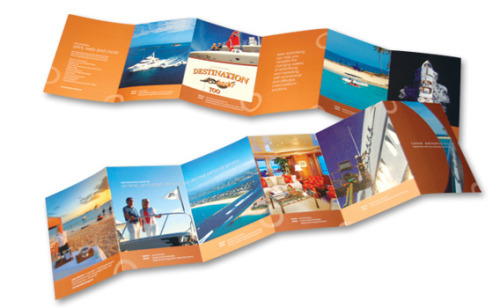 Brochures are still considered as one of the most impactful marketing and branding strategy in the business world. This promotional collateral is always effective, versatile and above all pocket friendly. Organizations opt for this tool as they very informative and message driven. They let clients know about your business at a glance. Different opt for different shape and sizes as per their level of creativity and attractiveness. However, the most common ones include high quality DL with single page print or four-pagers or six-page tri-folds, A5 in the size of a mini-book and the most conventional A4. They may be printed in different formats like varnish, matt or gloss lamination, foiling, die cuts, landscape or portraits in India. While creating a brochure companies keep in mind the following things: purpose served by the brochure, the target market, the message to be conveyed and the level of creativity and quality. Following are a few points to help you understand why big shot corporate organization still use high quality brochures as a part of their marketing strategy. Read them well. Better turnaround: The advantage of living in this techno savvy world is that everything is at arm’s length today. With the influx of advanced printers turnaround of your print is no longer a hard nut to crack. You can print triple the amount of brochures in half the time compared to the past. The bottom line is you save both time and money. Today you can order as many as 100 to 10,000 high quality brochures and get it delivered at best prices at your door step. One to one communication: Interestingly what happen in brochure communication is you don’t have to urge someone go through your website. You can promote your brand without any distractions from electronic devices. It helps you encounter sales conversation with effectiveness. You get your value back with this medium of advertising. Quite cheap: Brochures are quite cheap compared to setting up ads in audio, visual and print media. Plus with the increasing price in these media, brochure printing has gone lower. Also you get advantage on the quantity. If you want one brochure to be printed, you can get one without objection. Thus they are quite cost effective. High in quality and low in price. Comfortable in reading: No matter how impactful the new media is, brochures will always remain as the most comfortable mode of reading with it comes to information delivery or brand promotion. For example, you have taken a take away menu from a restaurant. In that case you have the menu at hand and can circle the product you love, so that the next time you want to have the same, you won’t have to go through the trouble of re-reading again and again. The same goes for brochures too. It is more convenient compared to the internet or other media.